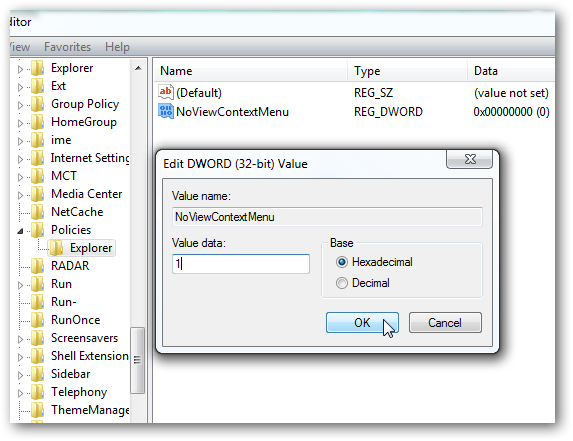 As a security measure, you may want to restrict users not to get the right click context menu in Windows 7 desktop and explorer. Here is a tutorial, on how to disable right click on the desktop and explorer in Windows 7. As we have said in our previous tutorials; Disable access to Windows Task Manager in Windows 7 and Disable right click on the taskbar in Windows 7; this trick can be used to for creating a Windows 7 based KIOSK or embedded system, for banks or other institutions, or any where where the administrator simply do not want the user to know what operating system is running or simply to stop users to customize the particular computer. Now when you right click on the desktop or explorer, Simply nothing happens. 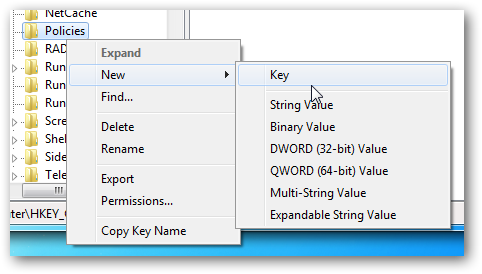 To re enable right click on the desktop or explorer again, simply delete the subkey you have created or, set the value to œ0 (Zero). This Article Has Been Shared 7682 Times! It seems to me that you are going to use for your serious business. Kindly do the exact thing in HKEY_LOCAL_MACHINE as well. Got it? I am repeating it again : To disable right click in Windows 7, who are not getting it working by using the above method in HKEY_CURRENT_USERSoftwareMicrosoftWindowsCurrentVersionPoliciesExplorer ; Kindly do the exact thing in the same hierarchy of HKEY_LOCAL_MACHINE too. There is no other known way to disable right click in Windows 7, as far I know. I am not sure what you want to say by “I am unable to solve my â€œWindows Explorer not working.â€ Is the problem happened after doing the registry change or was present before? Kindly list the major programs you are using. This disables right click for all users (admin included). What about setting this up for just a specific kiosk user? Cite this article as: Abhishek Ghosh, "Disable right click on the desktop and explorer in Windows 7," in The Customize Windows, January 17, 2011, April 24, 2019, https://thecustomizewindows.com/2011/01/disable-right-click-on-the-desktop-and-explorer-in-windows-7/.